Flat roofing is our specialty. Have your roof checked after a stormy winter. Even small leaks lead to big problems. ​The damage from leaking roofs is often irreversible without expensive repairs. That's why we recommend checking your roof after a long winter with the freezing, thawing cycle that goes on. Our winters aren't as cold as they used to be it seems, but make no mistake, they are still tough on your home's or commercial building's exterior surfaces. 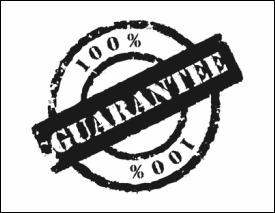 If we come out to assess whether we need to do any shingle or flat roof repairs or flat roof resurfacing before the expense of a whole new roof system installation, we thoroughly inspect and perform a few tests that will determine the health of your roof. Last thing you want is a roof that is leaking as spring turns ice into water. When we are called out to inspect and quote on a roof, we first look at the overall integrity, then we look at leaks, and wear and tear at roof openings. Do we need to do a complete flat roof replacement? Or will some refurbishing and minimal patching bring the roof to standards? Repairs are less costly but there limitations on the amount that can be done before the patchwork begins to hurt the roof more than help. If it is determined that rebuilding the system or replacement is required we will provide an estimate and our advice on how to proceed. Remember, there is no obligation when you deal with us. GTA Ontario Flat Roofers' professionals are experts in rebuilding a flat roof system. You could say we are in the re-covery business, but we also do preventative maintenance. There are a lot of reasons to call for an assessment, even if you think your roof is fine. Small problems can lead to big problems if not repaired right away. A relatively small cost will turn into a significant expenditure on a total roof replacement if problems are allowed to percolate. Modified bitumen or Mod-Bit roof systems have enjoyed over 30 years of success in the roofing industry. There are similarities to BUR, however the layers are prefabricated (membranes) to some extent so that less layers need to be applied and the material is rubberized. It usually installed with the common torch method although cold applications have become available recently. Mod-bit is a durable, flexible (expands, contracts) weather resistant system, which makes it extremely popular in our cold climate. ​First, a fiberglass liner may be applied, then the Bitumen ply is laid down complete with the final granular membrane. One of the little tricks that GTA Flat Roofers performs is de-granulation. We take the time to remove all of the granular coating where cones or flanges and joins are going to be made around deck openings and flashings. PVC – Poly Vinyl Chloride, TPO – Thermoplastic PolyOlefin, and EPDM – Ethylene Propylene Diene Monomer are the more common single ply systems available today. Each offers benefits and installation options. TPO is typically installed as fully adhered or mechanically attached with the white membrane remaining exposed during the life of the roof which can aid in insulating the sun's effects reflecting UV rays. 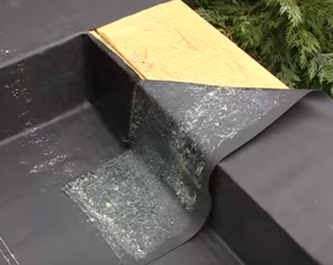 PVC systems feature fusion-welded seams (see video below) for permanent water tightness as opposed to mechanically adhered. This is an advanced version of TPO, and it can cost a bit more. Some advantages of TPO are (a) width of roll at 10’ wide for faster installation, (b) fewer seams; (c) white reflective Cool Roof surface for a significant reduction in air conditioning costs; (d) long term waterproofing; (e) exceptional resistance to solar UV, ozone, and oxidation. The most common EPDM roofing is an extremely durable synthetic rubber roofing membrane used for flat roofing. This is an oil based product (Imagine a flattened bicycle tire), available in both black and white and in two different thicknesses. ​Like TPO, EPDM can be installed fully adhered or mechanically attached, but it can also be ballasted, (held in place by weight such as river rock type material). One of the benefits of EPDM is that sheets of waterproofing can be much larger than other systems because it is lighter, potentially bringing installation time down; it can be moderately cheaper than other heavier systems. For installation, the rubber membrane is glued and the seams are sealed, but the overall system stays in place with weight covering. A little more expensive but less removal of previous roofing may be an option. The downside of this system is increased possibilities of puncturing, especially if inexperienced staff workers are up on the roof for reasons such as cleaning or snow removal. ​If you suspect any issues with your flat roof, call us for an appointment. No obligation, we promise. Full knowledge of quality roofing material replacement. Drip edges and roof flashings to protect areas prone to leakages around vents and skylights. Our safety equipment, employee training and safety incentive programs keep our people safe and insurance costs down.